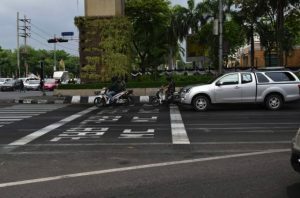 The campaign to promote use of zebra crossings that kicked off in Bangkok at the end of last week has called for more severe punishments for motorists involved in collisions that occur on the crossings. The anti drink drive foundation and the Culture Ministry initiative said that 1 month jail and 1,000 baht was not enough of a deterrent. This should be 3 months and 5,000 baht in the future. The meeting at the Mercure Fortune Hotel heard that accidents involving pedestrians was up 163% from 2015 to 2016. There were 1,621 incidents in the capital in 2016 compared to 615 the previous year. There was just one death on a zebra crossing at Asoke in 2014, the meeting was told. 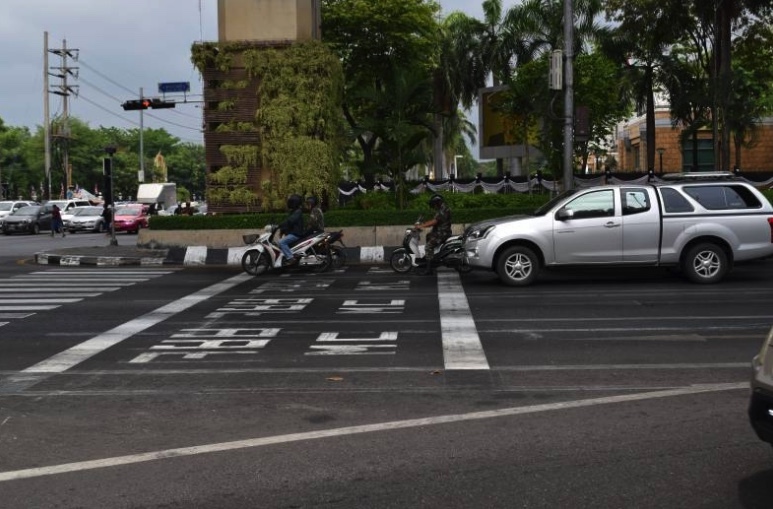 In total there are 1,112 zebra crossings in Bangkok, 715 of which have flashing beacons reported Daily News.